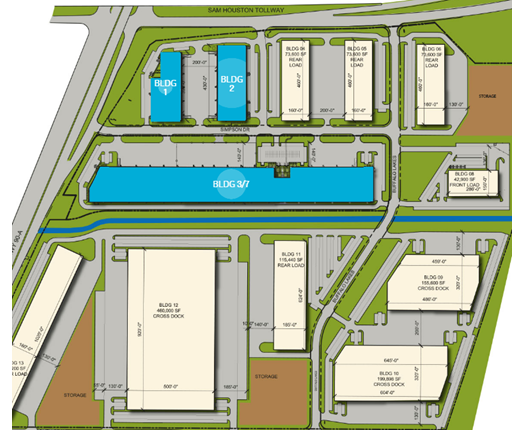 ​​ ​MISSOURI CITY – Park 8Ninety, a 127-acre industrial park, has its first tenants. Park 8Ninety is located at the south corner of U.S. Hwy. 90A and Beltway 8. Three leases were recently signed at the park, and the tenants are expected to move in soon. VWR International signed the largest lease of the three, taking 125,251 sf in Building 3/7. Rexel Inc. leased 96,983 sf in Building 3, suite 100. Texas AirSystems LLC leased 36,501 sf in Building 1.